Cea mai noua si mai geniala geanta de la H&M, e din seria Back to School, e de toamna, si culoarea asta geniala, e pur si simplu "de acolo", e un must have pentru mine. 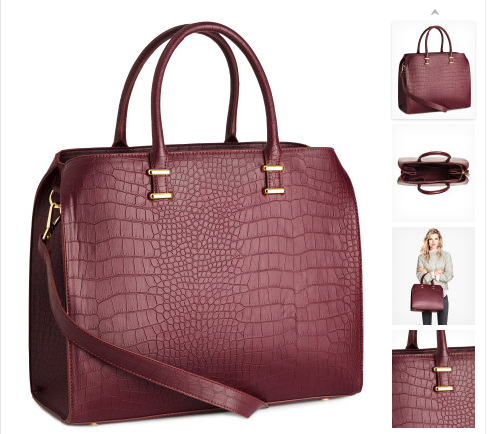 The newest and the coolest bag from H&M from the Back to School series, it's from autumn, in my opinion, and it have this gorgeous color, it's the ultimate bag, it's certainly a must have for me! The Biker Jacket, tot din H&M, e din imitatie de piele, e un model foarte cautat, cel putin eu stiu cat am cautat, exact modelul asta, e la un pret accesibil, si nu o sa ma credeti daca o sa va spun ca e de la copii. 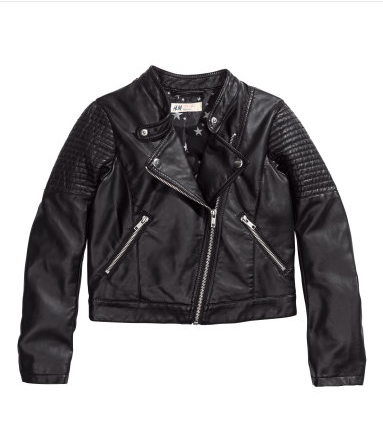 The Biker Jacket, also from H&M, it's ecological leather, this shape is very hunted, and it's good that this one is affordable and you won't believe me if I tell you that it's from the children's section. 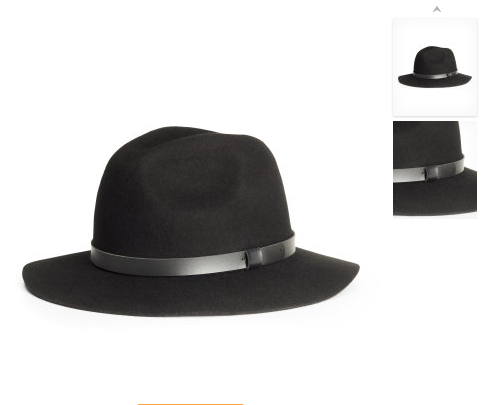 The ultimate Blazer, tot din H&M, nu stiu ce e cu mine si cu H&M in ultima perioada:)). Este simplu, l-am gasit pe site-ul lor, e exact croiul pe care il vreau, altele nu imi sad la fel de bine. Plus ca fiecare fata are nevoie de o piesa statement ca aceasta, se potriveste la orice tinuta. 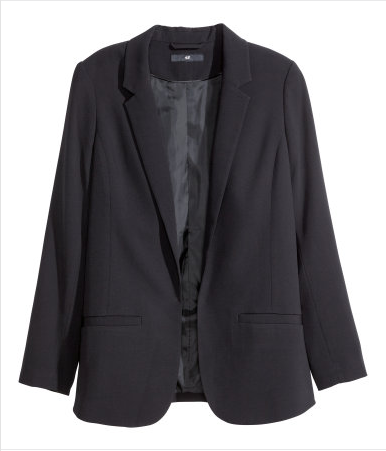 The ultimate blazer, from H&M, I don't know what's wrong with me and H&M in the last period:)). I found this on their site, it's simple, and it's exactly the cut I want, the other models didn't fit me as well as this, plus that every girl needs a statement piece like this one, it's fits on almost every outfit. 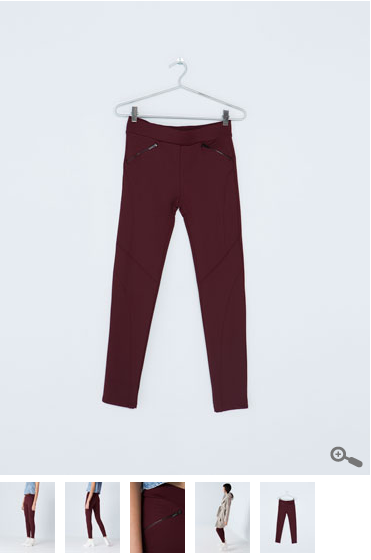 Da stiu, sunt o vanatoare cand vine vorba de reduceri, am vazut in Bershka o pereche aproape identica de colanti cu aceasta, doar ca are fermoar dublu atat in partea stanga cat si in dreapta, e geniala culoarea, mai ales ca vine toamna/iarna, merg de minune cu niste booties, sau cizme over the knees, negre, cu accente aurii si un pulover calduros, sau o camasa de blugi, gandesc bine, asa-i? Yes, I know, I'm a hunter when it comes about sales. 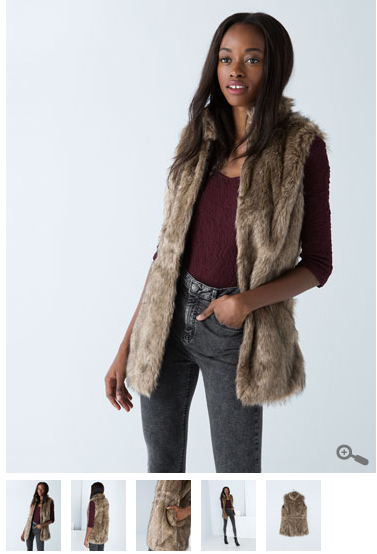 I saw in Bershka a pair of jeggings almost identic with this ones, the difference stains in a double zipper, the color it's briliant, especially that the autumn it's almost here, then the winter, you can wear it with a warmy oversize sweater or a denim shirt and a pair of army booties or a pair of over the knees boots, great combo, right? Inca o piesa statement, o vesta de blana numai buna pentru o toamna friguroasa, luata deasupra gecii de piele sau doar cu o bluza basic cand e mai cald afara. Another statement piece for our wardrobe, pefect for a coldy autumn over the leather jacket or over a basic blouse if the weather allows us. O pereche simpla de wedges, tot de la Bershka, ce-i drept imi placeau mai mult cele pe care le aveau sezonul trecut, dar merg si astea. 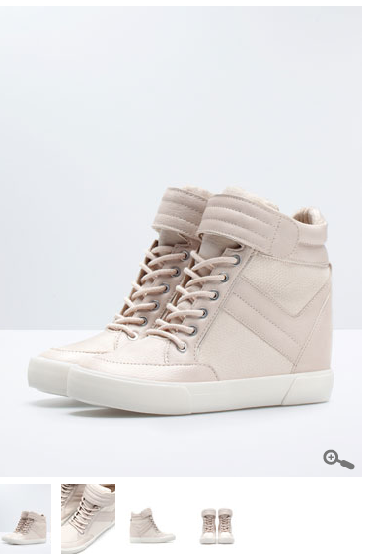 A simple pair of wedges, i liked more the pair of wedges they had the last season, but this is good too. Dragi prieteni, stiti ca vine ziua mea, daca va simtiti dezorientati, stiti unde sa intrati, a da, si imi mai place o pereche de stiletto, la un pret ceva mai accesibil decat astea, doar ca magazinul nu are site, for more details, il puteti intreba pe George. Publicat de Unknown la 2:24 p.m.